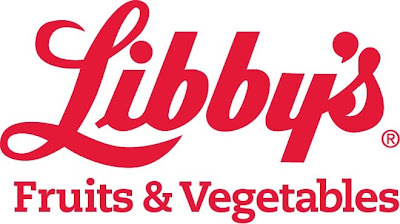 This post is sponsored by Libby's Fruits & Vegetables. Baked Cream Cheese Corn with Crumbled Bacon is full of creamy, cheesy, bacony goodness! It will be the star of your holiday spread! When I was a little girl, I remember waking up on Thanksgiving day to the delicious smell of onions and celery sauteing in butter, which would later make it's way into the classic bread stuffing. Now, when I get up bright and early and head to the kitchen, I wonder if I'm creating the same memories for my children with the simple smells of the holiday's wafting through the house. I like to think that I am. Now that I hold the reigns when it comes to preparing Thanksgiving dinner, I like to make the classics; a golden oven-roasted turkey with herbed bread stuffing, sweet and tart fresh cranberry sauce, perfectly fluffy Traditional Mashed Potatoes, and fresh green bean casserole. Through trial and error, I've discovered that I like to make some dishes the traditional way, the way my mother made them and her mother before her. I also like to add a few dishes to make the meal unique. I like to make a special appetizer, like a gorgeous puff pastry stuffed with brie and cranberries. And sometimes I'll make an extra special dessert that adds a little flair, like my Salted Caramel Apple Pie with Brandied Whipped Cream. For this recipe, I'm partnering again with Libby's (I previously made this delish Overnight Refrigerator Pear Oatmeal using Libby's Pears), and this time I'm using Libby's Organic Whole Kernel Corn. 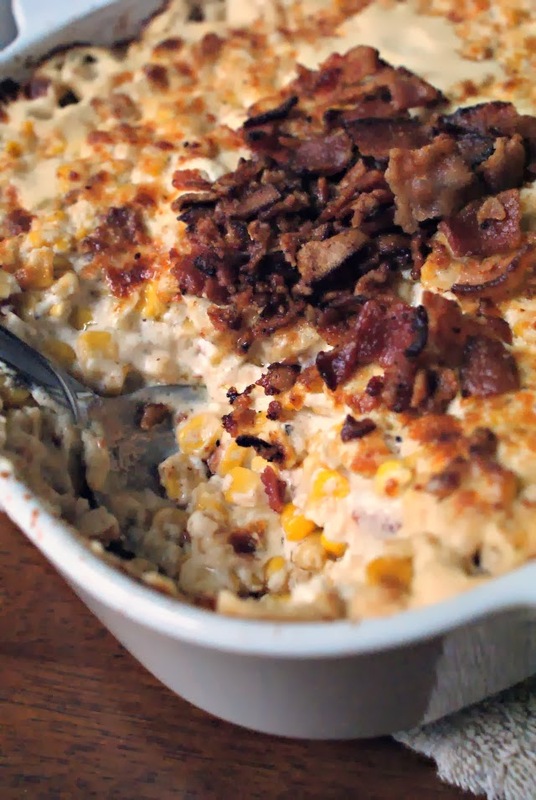 I decided to make this Baked Cream Cheese Corn with Crumbled Bacon as a side dish that I'll be adding to my holiday menu this year. Just look at all of that creamy, cheesy, bacony goodness. This corn is nothing but indulgent and perfect for Thanksgiving dinner. After all, calories don't count on holiday's right? Who's with me here? I indulge in every delicious, decadent morsel of food I can fit on my plate. Let me know if you decide to add this to your Thanksgiving menu! Preheat your oven to 375°. In a large high-sided skillet over medium-high heat, cook the bacon until crisp. Remove bacon to a paper towel lined plate and discard the bacon drippings (you can leave a tablespoon or two in the pan for a little extra bacon flavor, if you'd like). Reduce the heat to medium and add 1/4 cup of butter to the pan. Saute the onion in the butter until the onion is translucent, about 3 minutes. Add the cream cheese to the pan a little at a time, stirring continuously until the cream cheese is smooth and softened. Add the grated parmesan cheese and black pepper. Then, crumble 8 slices of the bacon and add it to the cream cheese mixture (the other 4 slices will be for garnish after baking). Finally, add the corn and mix well. Pour the corn mixture into a buttered 2 quart casserole dish, top with the remaining 2 tbsp parmesan and drizzle with the melted butter or olive oil. Bake in preheated oven for 35 minutes. Remove from the oven and garnish with the reserved crumbled bacon. Let sit for 5 minutes before serving. Now, how about we have a giveaway! This one is perfect for all of you friends out there that are just as excited about holiday baking as I am! Check out this USA Pan Non-Stick 6-Piece Piece Bake Set! 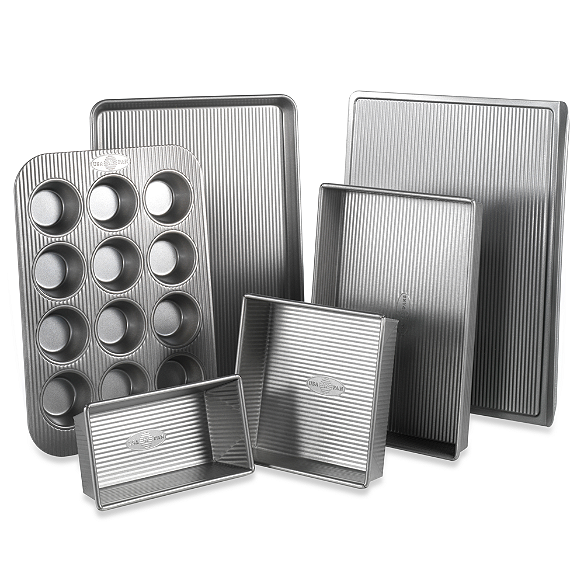 This set includes a large 18" x 14" cookie sheet, 18" x 13" half sheet pan, 9" x 13" rectangular cake pan, 8" square cake pan, 1-pound loaf pan and 12-cup muffin pan all made in the U.S. of A. LOVE.IT. The winner will also receive an assortment of Libby's product to help break in those new pans. ;) There are 5 ways to enter on the Rafflecopter Widget below...choose one or enter all 5 ways for 5 entries to win! Source: Inspired by my sister Laura's Cream Cheese Corn recipe, which is a non-baked spicy version. Thanks for the inspiration, La! For more Thanksgiving inspiration, you can search for seasonal recipes - from party-worthy appetizers to comforting side dishes to festive desserts - in Libby’s Digital Recipe Box, available on Libby’s website or on its Facebook page. Libby’s will also host a Cansgiving Twitter party to talk about family, food and feeling thankful during the holiday season at 2 p.m. EST on Wednesday, Nov. 6, 2013. Amy Lupold-Bair of Resourceful Mommy will curate the party, and select participants will win Thanksgiving-themed prizes. Twitter users can follow the conversation using the hashtag, #Cansgiving. This recipe serves 8 people and is appx. $1.50 per serving. I received compensation in exchange for services rendered on behalf of Libby’s Fruits and Vegetables. All thoughts and opinions are my own. i am totally making this tonight!! This cream cheese corn recipe sounds like something that will be complimenting the rest of my Thanksgiving dinner this holiday. Wow, this recipe sounds so delicious, I want to make it with Libbys !! 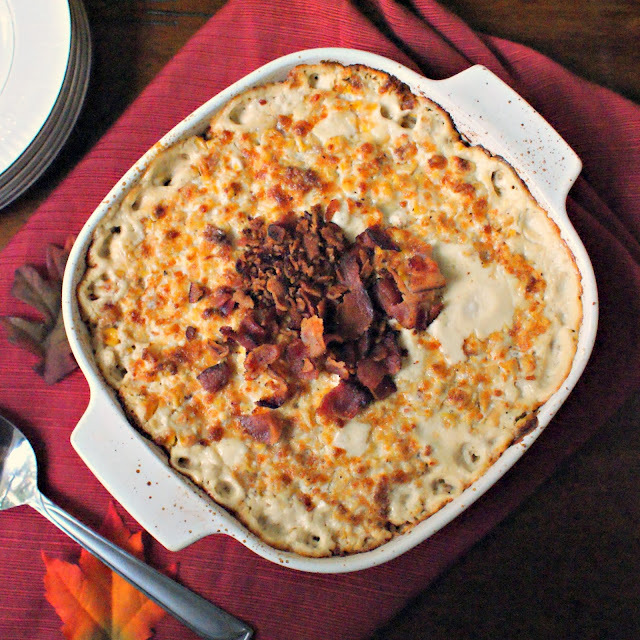 I am pinning it to my Pinterest page so I can make it for Thanksgiving! I also love love love Libbys pumpkin for my pumpkin pies and wont use any other brand, It was my Moms fav and now is mine too!! I would like to make pumpkin bread. Oh, boy! You have to have Green Bean Casserole or it's not Thanksgiving! Black beans and Libby's corn in a southwest chicken salad. On the lighter side! Corn Pudding is one of my favorites. My family has done something similar for years.... It is best with home canned sweet corn! I may try adding bacon to it this year for something different. Corn Bread Casserole with green chilies and bacon! 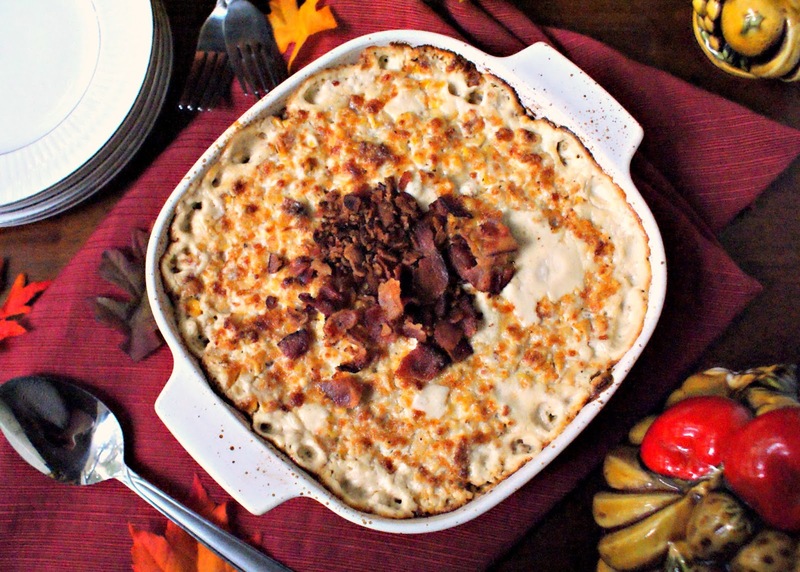 I might have to try this Corn Casserole, but I KNOW I will be making Green Bean Casserole! BTW when I viewed your page using Firefox, your Rafflecopter was actually behind the photo of the prize. I had to use Chrome to get it to load properly...weird! Thank you for letting me know! I'm on a Chromebook because my desktop computer crashed so I have no way of checking, but I think I fixed it. Good luck! Green Bean Casserole, A must have at my dinner. I hope to be making this! I have to agree that your green beans are great so I would love to make green bean casserole! Green bean casserole- my favorite! I'm going to make this recipe. Also, creamed corn, tarts made with Libby's pumpkin and pumpkin confetti rice. This looks amazing. I will be trying this very soon with the family. Thank you! Going to try this for our Christmas meal tomorrow - looks great! Thank you!!! Not sure if anyone else experienced this, when I printed the recipe, it printed this whole blog post and all of the comments. 11 pages when you printout .....!